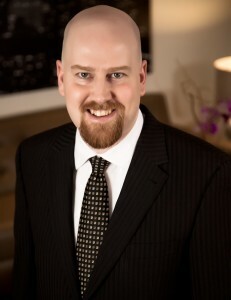 Dwayne joined Liu & Associates LLP in 2007, and became a partner in 2011. Dwayne provides accounting, assurance and tax services to our clients. Dwayne articled with a major national accounting firm in Edmonton where he rose to the level of manager before leaving to pursue further studies in accounting. Dwayne’s experience covers a wide range of clients, from small private companies and not-for-profit organizations up to large public corporations and across a wide range of industries, including construction, real-estate, retail, professional services, hospitality and light manufacturing. This experience, along with his graduate studies at the University of Alberta, has given Dwayne a strong grasp of assurance and financial reporting, as well as the practical application of tax concepts in a wide variety of settings. Dwayne has been involved in CA training since 2002 with both the Canadian Institute of Chartered Accountants and Chartered Accountants School of Business, and currently serves as a Team Leader at the Chartered Accountants Uniform Final Exam marking center. In 1998 he graduated from the University of Alberta with a Bachelors of Commerce, with distinction. He passed the Chartered Accountants Uniform Final Exam on the Honor Roll in 2000 and became a CA in 2001.